– Antoine-Laurent de Lavoisier, Traité élémentaire de chimie, 1790. 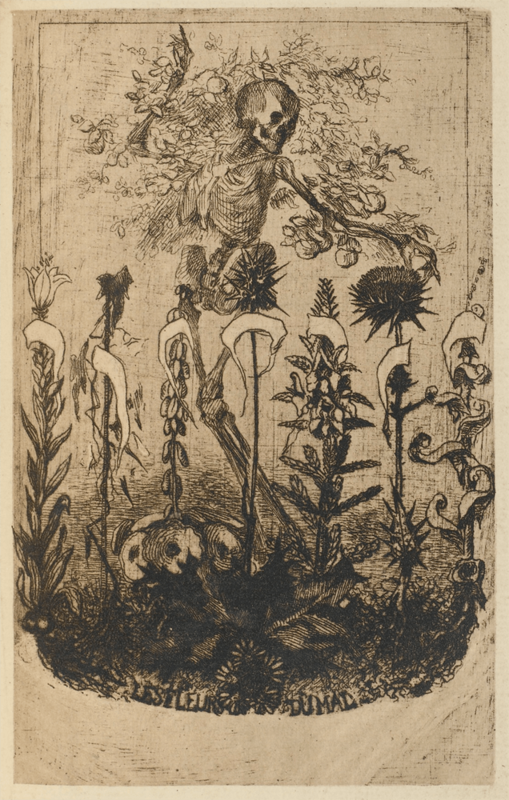 “Les Fleurs du Mal” by Charles Baudelaire, engraving for the 2nd edition by Félix Bracquemond, 1861. 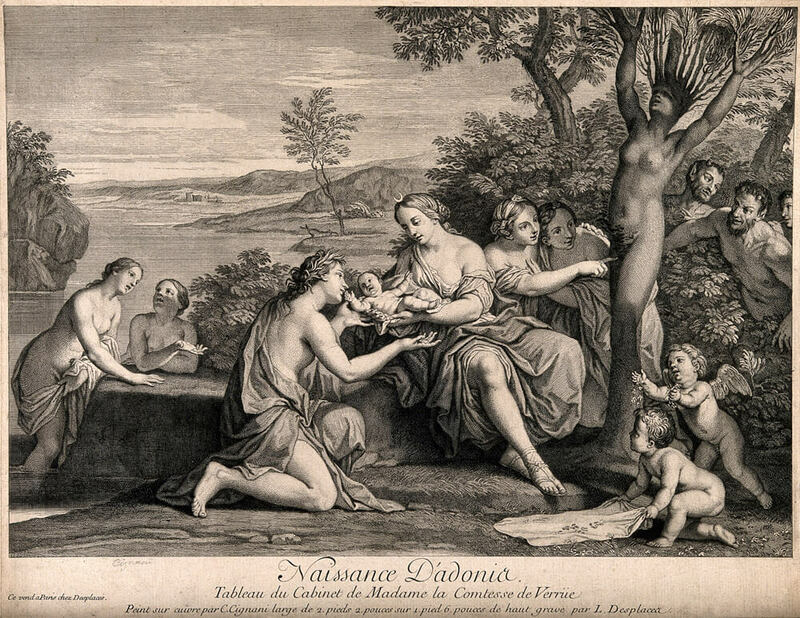 “Myrrha giving birth to Adonis assisted by Lucina and other nymphs who are also surrounded by cherubs and satyrs” by Louis Desplaces, 1736, after Carlo Cignani. The story of Adonis starts as a very peculiar birth. Mirrha, his mother, suffered a dramatic metamorphosis while she was pregnant. Her human body was suddenly transformed into a tree. The child, however, was kept alive in her trunk and was born as a normal child. 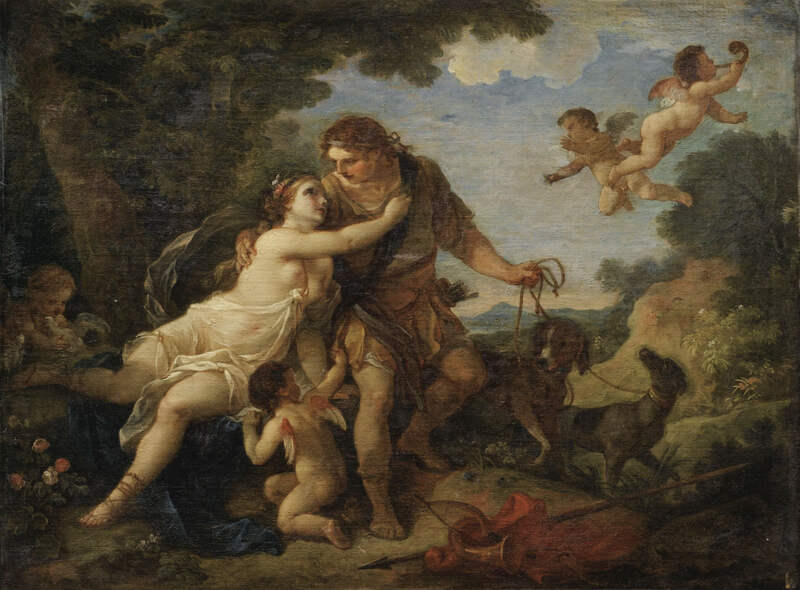 Adonis was rescued from the woods by Aphrodite and raised in the Underworld by the goddess Persephone. He grew up and became a very attractive young man and both Aphrodite and Persephone fell in love with him. There were a lot problems related to this dispute, forcing Zeus to intervene. The agreement was to have Adonis spending 1/3 of the year with the goddess of love, 1/3 with the goddess of the underworld and 1/3 by himself, free to do whatever he wanted. 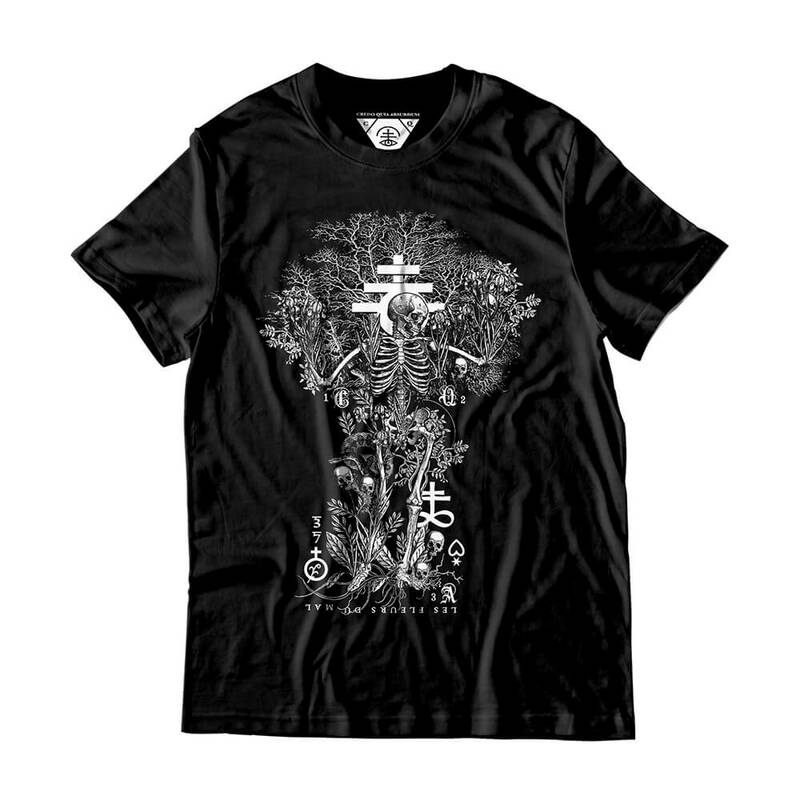 The cycle of his life is often associated with plants and seeds and how the seasons affect them. The Autumn symbolizes the call of Persephone to the Underworld, the plant dies, we become fertiliser to the soil. As Aphrodite returns to the Earth, the Spring wakes up the sleeping seed for a new season. Adonis is the seed, and the structure of his old body is molded by a new kind of life, always distinct than the past years. The darkness and blindness of our spirit gives place to a new beginning full of light and hope. This evolutionary loop represents the way we develop our own spirit and psyche, cycle after cycle and how we self-mature through experience. 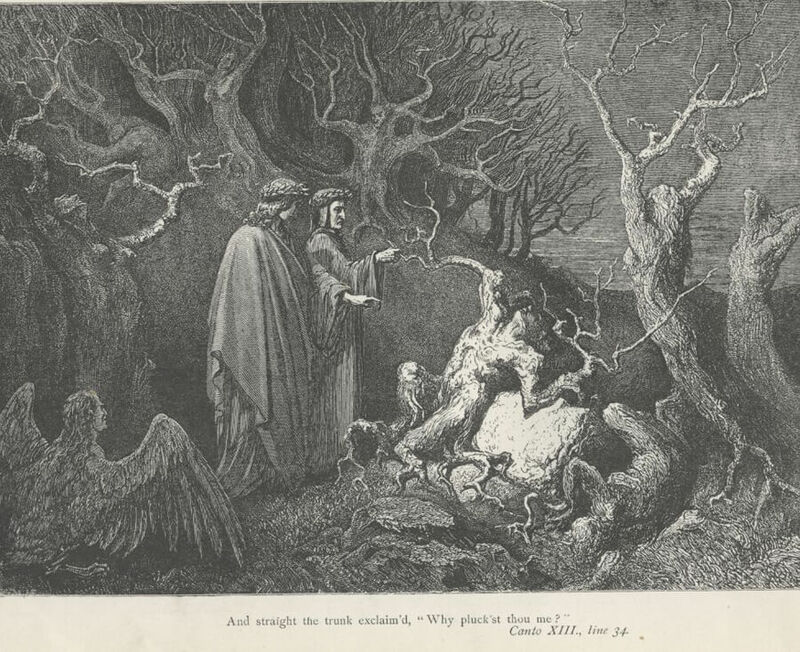 “The Wood of the Suicides” in: Divina Comedia: Inferno- Canto XIII by Dante Alighieri. Engraving by Gustave Doré, c. 1857. 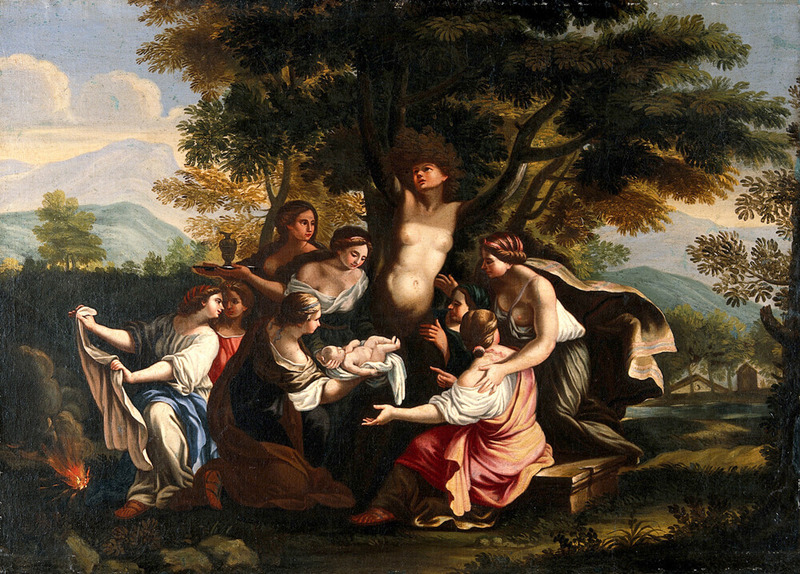 “The birth of Adonis and the transformation of Myrrha” After Luigi Garzi, c. 1660.